The Advanced Extremely High Frequency Satellite (AEHF) system provides survivable, global, secure, protected, and jam-resistant communications for high-priority military ground, sea and air assets. AEHF is operated by the United States Air Force Air Force Space Command. The System is used by the US National Security Council and Unified Combatant Commanders. AEHF can be utilized to control tactical and strategic forces at all levels of conflict including nuclear war. The Satellite System is the follow-on to the Milstar Constellation – improving the MILSATCOM architecture that was designed in the 1990s. The initial AEHF System will consist of four satellites in Geostationary Earth Orbit providing full coverage between 65 degrees north and 65 degrees south latitude operating 24 hours a day, 7 days a week. 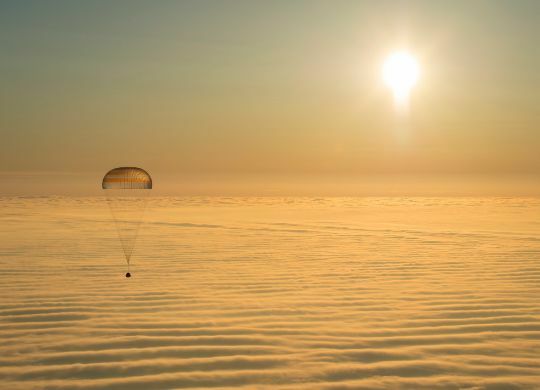 The System consists of three segments: the satellites operating in space, mission control and associated communication links and user terminals connected to the satellites for up- and downlink. AEHF provides compatibility with Milstar’s low-data rate infrastructure providing data rates of 75 to 2,400 bits per second and 4.8 Kbit/s to 1.544 Mbit/s as well as a new signal allowing high data rates of up to 8.191 Megabits per second. Mission Control is in charge of orbital operations and communication scheduling. AEHF Uplinks and Crosslink Feeds are provided in Extremely High Frequency while downlinks utilize Super High Frequency signals. User terminals include mobile terminals, ship and submarine terminals, and airborne terminals used by all of the Services and AEHF international partners which are Canada, the Netherlands and the United Kingdom. The AEHF Satellites are built by Lockheed Martin Space Systems. It is based on Lockheed’s A2100 Satellite Bus and has a liftoff mass of approximately 6,170 Kilograms. The spacecraft features two deployable, five-segment solar arrays featuring high-efficiency solar panels that provide power to the satellite that is equipped with batteries for power storage. 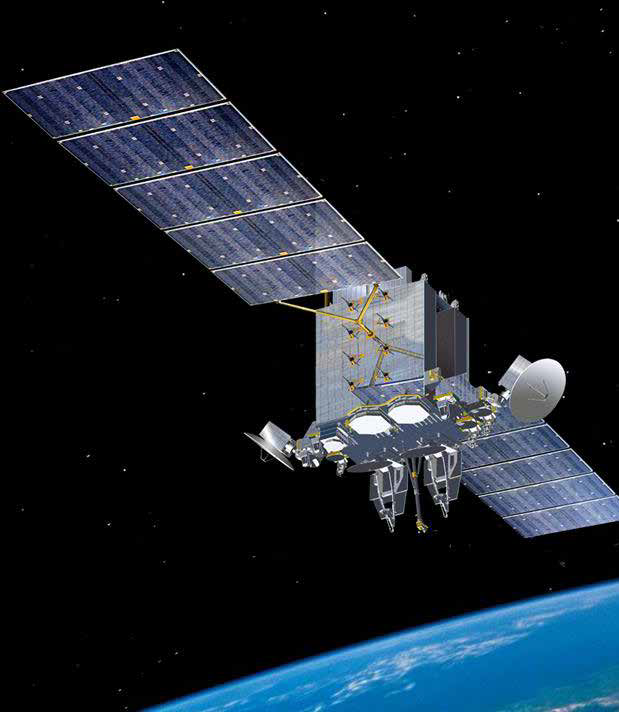 AEHF satellites feature a combination of liquid-fueled and electric propulsion systems. The main propulsion system of the satellite is centered around an IHI BT-4 engine that is used for large orbit adjustment maneuvers including the climb into Geostationary Orbit. BT-4 was developed by IHI Aerospace, Japan and has a dry mass of 4 kilograms and a length of 0.65 meters. The engine provides 450 Newtons of thrust using Monomethylhydrazine fuel and Nitrogen Tetroxide oxidizer. The propellants are stored in spherical tanks that are pressurized with Helium. In addition to the main engine, AEHF is equipped with twelve Reaction Control Thrusters that are installed on Reaction Engine Assemblies. These are 22-Newton Hydrazine engines that are used for attitude control during BT-4 burns and for smaller orbital adjustment maneuvers and drift operations in GEO. In addition, AEHF features a 4.5kW Hall Thruster Propulsion System provided by Aerojet. Each of the hall thrusters provides 0.27 Newtons of thrust. This system removes orbit eccentricity during Transfer Orbit Operations and is used for re-orientations and orbit maintenance. AEHF 3 features a high-performance communications payload consisting of a number of antennas. 2 Super High Frequency Phased Antenna Arrays provide downlink feeds, 2 crosslink antennas are mounted on the satellite and 2 Uplink/Downlink Nulling Antennas are installed on the satellite. Also, AEHF includes an Uplink Extreme High Frequency Phased Antenna Array, 6 gimbaled Dish Antennas for Uplink and Downlink and two Earth coverage horns. The AEHF constellation has an inter-satellite crossfeed capability meaning that global communications are possible between two users without any other ground station involvement as signals are relayed via AEHF assets only. After being delivered to its desired Supersynchronous Transfer Orbit by the Atlas V Launch Vehicle, AEHF 3 starts a period of on-orbit commissioning that includes the transfer to its final Geostationary Orbit using its BT-4 engine and the electrical thrusters as well as systems checkouts. 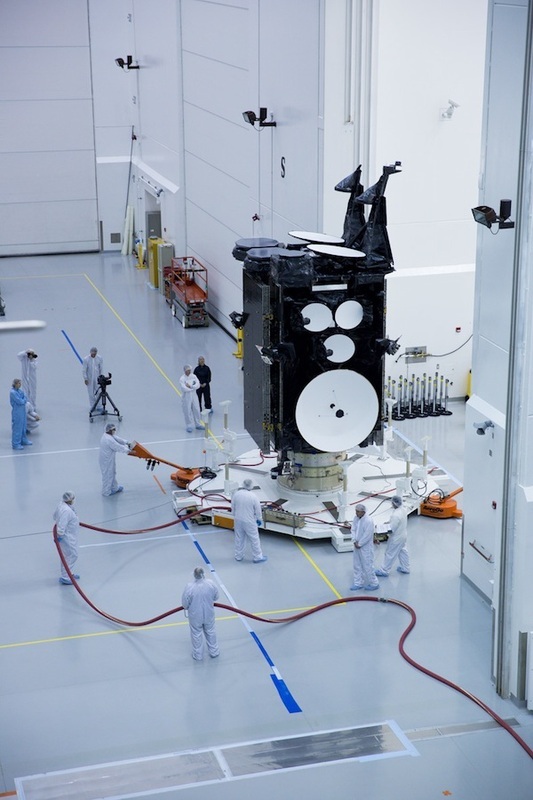 After the 100-day commissioning phase is complete, the satellite will enter operations next to AEHF 1 & 2 that were launched in 2010 and 2012 – waiting for the constellation to be fully operational after four satellites have been delivered to orbit. The expected satellite lifetime is 15 years.